Evacuations are stressful to plan, let alone run under the pressure of an actual emergency. The Regulatory Reform (Fire Safety) Order 2005 states that buildings should have an evacuation plan in place for anyone who may be present in a building, regardless of their mobility level. The problem is intensified when some patients are bed-bound and may be restricted to a pressure relief mattress for their comfort and safety. So how do you evacuate them? The Visco High Risk Profiling Mattress with Integral Evacuation is the solution to this problem. The comfortable and support mattress is suitable for patients at high risk of pressure ulcers, but comes with built in evacuation devices. 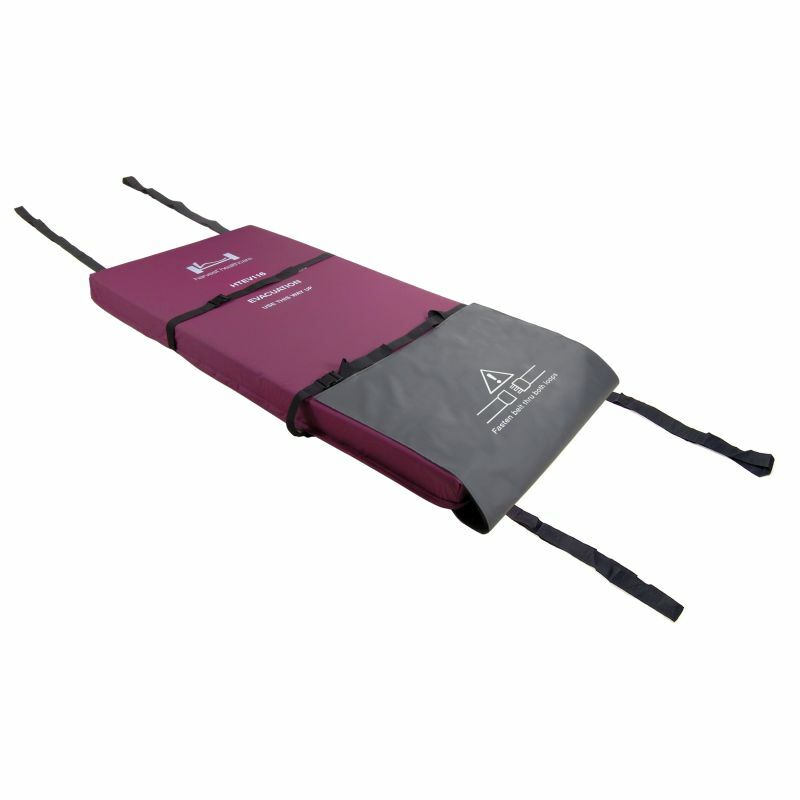 This is prominent through the patient securing straps and the low-friction base that enables the mattress to slide along any surface type.